My current book project, scheduled for completion in early 2019, brings together ideas from my early books (which you can download further down this page in scanned form) and knowledge that I have acquired in the 32 years since Lifestyle Economics was published. This book will offer a synthesis of ideas from both ‘old’ and ‘new’ approaches to behavioural economics, with a strong evolutionary flavour. Its working title — Beyond Misbehaving: An Evolutionary Approach to Behavioural Economics — alludes to Richard Thaler’s (2015) autobiography, Misbehaving, a book that I like a lot and set my students as required reading, but which goes nowhere near as far as I thinking behavioural economics can go. You can download a draft of the preface, draft contents, and drafts of the first four chapters via as a single pdf file in camera-ready format via the following link: Beyond Misbehaving: An Evolutionary Approach to Behavioural Economics (draft chapters 1-7). Your comments would be most welcome. Peter E. Earl (1984) The Corporate Imagination: How Big Companies Make Mistakes, Brighton, Wheatsheaf Books. Peter E. Earl (ed.) 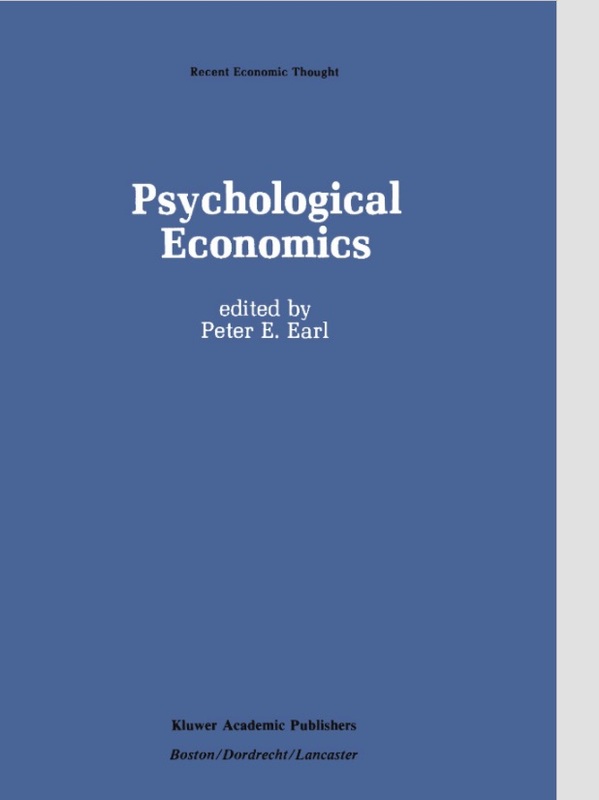 (1988) Psychological Economics: Development, Tensions, Prospects, Boston, MA, Kluwer Academic Publishing.